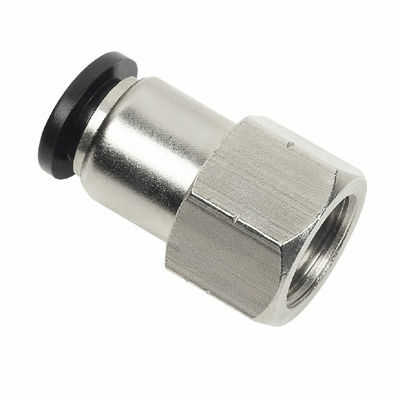 Female connector (pneumatic fittings, push in fittings, air fittings) are widely used in pneumatic circuit. In line connection of tubing to a male threaded port. External tightening with a flat wrench or socket wrench.